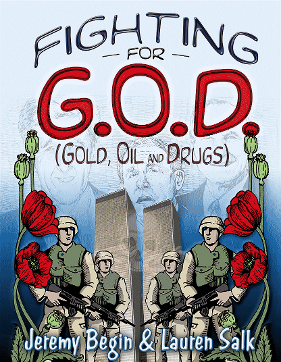 Telling a story that our mainstream media rarely comes near, this illustrated volume gives us an understanding of 9/11 as a cynical ploy by global elites to maintain their control. With a review of history from medieval bankers to the modern Deep State, writer Jeremy Begin and artist Lauren Salk deftly set out the patterns of war and terror which have kept the masses subservient. Transcending traditional partisan politics, this book discusses key issues confronting America's citizenry, as well as steps the populace can take to reverse the march towards totalitarianism and to reclaim our country's core values of liberty and justice. 100% of the author's profits from sales of this book are donated to anti-war organizations. Jeremy Begin is a long-time activist/organizer who has a degree in writing from Hampshire College. Lauren Salk is an illustrator with a degree in painting from Massachusetts College of Art. She lives in Boston.